Hello Friends, Sharyn is our hostess this week over at Just Us Girls and she has picked out a perfect word for this time of year. The word is LEAVES. Sharyn and I have become very good friends over the past few years, and unfortunately life has gotten to busy for her, and this is going to be her last challenge as part of our Design Team. I private messaged her a few days ago and asked if she realized her word she had chosen actually had two meanings this week? She responded, that she had not realized that. Funny how things work out sometimes isn’t it? I must say the best thing about this great hobby of ours is the people that have come into our lives…and will stay forever. I will miss working along side you my friend, but rest assure, you can’t escape me that easy… as I will continue to keep tabs on you! HUGS and best of luck to you! Now onto my card. 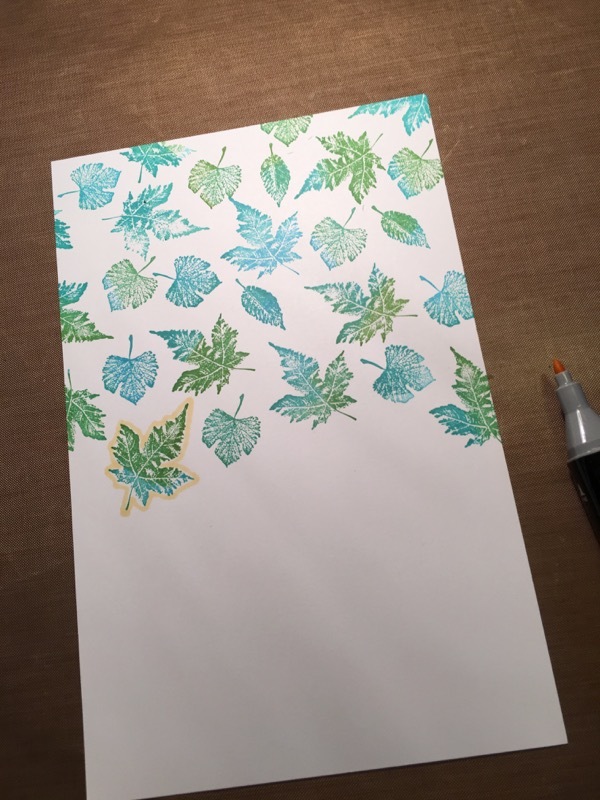 I love the look of stamping two different colors on one stamp…especially these leaves. I think these colors are awesome together, don’t you? Then I took a light yellow Spectrum Noir pen and outlined each leaf. (seen below) The idea for my card came from this gorgeous card by Ashwini that I have linked for you HERE! I added some black splatters and that great (fantastic) Verve Die, stamped the YOU that so happens to be Verve as well, and I was done. It actually came together rather quickly. I can assure you I will try this technique again. I would also like to welcome our next Guest Designer Jaydee who will be with us this month! 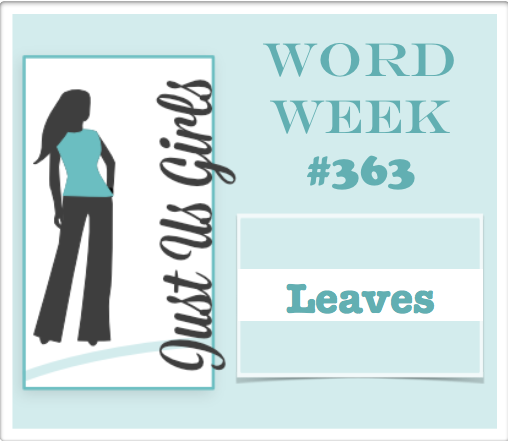 I am linking my card up over at Mod Squad too…where they have a challenge of falling leaves! Love when things come together like that! Categories: Cards | Tags: Card making, Cards, fall, leaves, rubber stamps, spectrum noir pens, stamping | Permalink. You are so right about those colors going together! I never would have thought to use those colors for leaves, but I LOVE how your card turned out! Lovely use of the multi ink on your leaves! Your leaves are so beautifully colored. Great designed card. I love your card! The colors are gorgeous and I especially love the multi inks on the leaves. Such a pretty design. Well, my sweet friend, even though we are no longer teammates, we are friends and we will be staying in touch. Love you! Awesome card Nancy! You are right, the colors go together wonderfully!! And thank you so much for mentioning my card here! Beautiful card, love your leaves and color choices! Thanks so much for playing along with us at The Mod Squad Challenge Angie, Challenge Host. LOVE how you have done your leaves. I, too, like to stamp with 2 different colors, always a great effect. And then outlining each one…genius. This is just so pretty, and very clever, my dear!! Love how you chose to have different colours for your leaves. Great sentiment and splats. The color on the leaves blends so well, Nancy, and the outline makes them glow. The black die cut just pops of of the background. Nancy, you had such nice words for Sharyn, I am sure she had tears in her eyes. Good thing it is more that a craft between you two. Love the sentiment on this fabulous two color leaf card. A non traditional fall card. 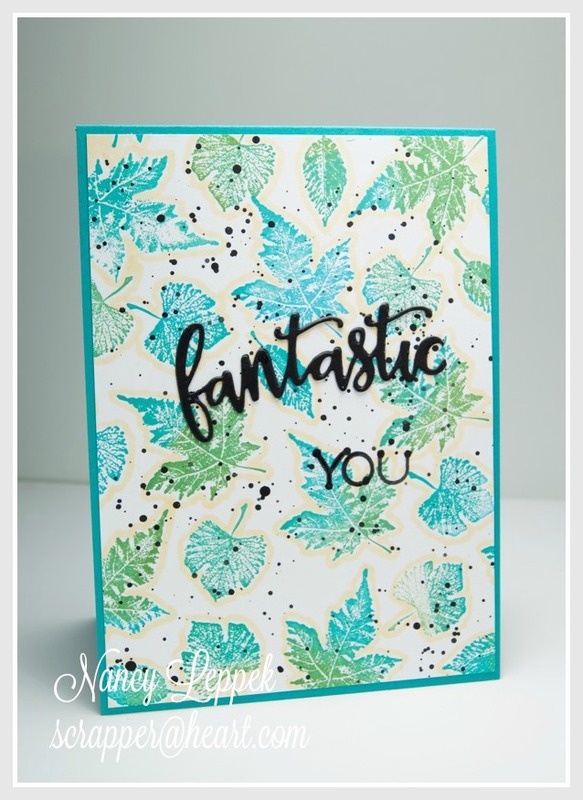 Nancy, this is a gorgeous card, outlining your leaves really makes them pop, what a clever girl you are!! I hope you have a great week, the weather is better and all is well in your life! Oh I LOVE the colors of your beautiful leaves and how you outlined each one—soooooooooooo pretty! Absolutely gorgeous! I really like your color choices for the leaves. And I LOVE how you outlined them making this just glow. It truly is a stunning creation! I love this Nancy – the colour combination is awesome and I love the bold sentiment.